Bandai Namco recently published their third-quarter financial report, providing fiscal results for the company through December 31, 2017. Not everything is as the company had hoped, and they’re refocusing their efforts in a new “Change for the Next” strategy. The company’s overall sales were up 5.2% to 483.2 billion yen, but profits were down 12.1% to 40.8 billion yen. Dragon Ball and and Gundam were by far the best performing franchises for the year, with 65.4 billion and 50.4 billion yen in sales respectively, more than double One Piece in third place. Videogame sales in particular saw a drop, from 19.67 million units at the same point last fiscal year versus 16.8 million units now. That’s especially disappointing when you consider that Bandai Namco has released 128 games this year compared with 90 the year before. Despite that, game sales in terms of money were up 9.4% to 285.3 billion yen, yet the division still saw operating profits down 5.7 percent to 33.8 billion yen. In light of that information, Bandai Namco will restructure to focus on five core “units,” each handling toys, games, amusement facilities, video and music, and new IP. That “IP creation unit” is perhaps the most interesting, since it highlights the company’s new focus on “aggressively” creating new and original franchises. The IP creation unit will be active across Bandai Namco, rather than just in videogames, but it will certainly include new series for game development. 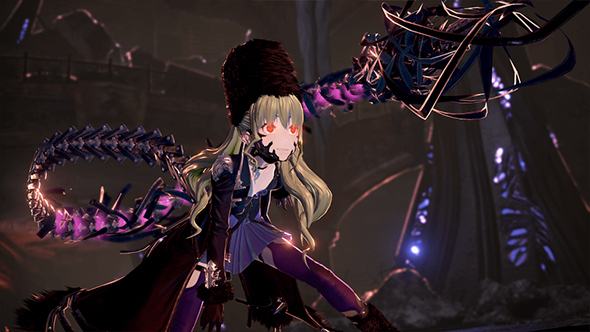 The company will launch the original action-RPG title Code Vein later this year. A new focus on regional development will also see the company make its “full-blown” entry into the Chinese market, which has proven lucrative across entertainment but particularly in videogames.